"VERA " - rooms for rent. Welcome to our website. Welcome in VERA ROOMS Kraków Pokoje Vera is located in the city centre, 250 metres from the Main Market Square and only 50 metres from the green Planty Park. 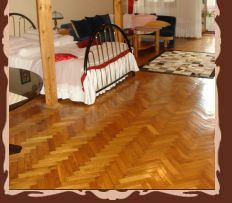 It offers warmly decorated bright rooms with free Wi-Fi. Vera is a part of a historic city house and includes a view of the Old Town streets. Each room at Vera features satellite TV and ironing facilities, as well as a private bathroom with a shower cabin with hydromassage facilities and a hairdryer. There is a kitchenette in every room, featuring an electric kettle, a refrigerator, crockery and cutlery, and a dining area. Pokoje Vera is situated 950 metres from the Royal Wawel Castle and 750 metres from the Kraków G³ówny Train and Bus Station. The Balice Airport is 11 km away. Rerservation online or by phone mobile +48 504 905 736. 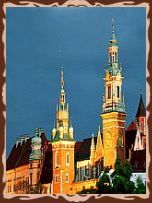 "VERA" is located n the top centre of historical Cracow in a relic tenants. 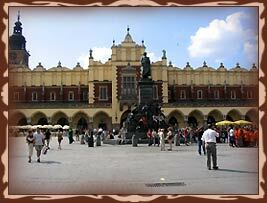 Wawel Castle and all of the important monuments of Cracow are five minutes walk far away from "VERA".